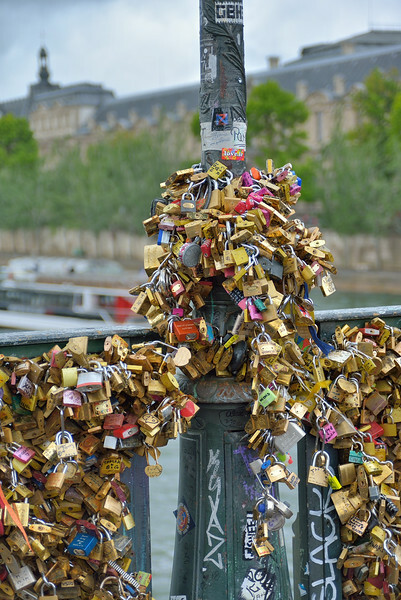 "Love locks" on the Pont des Arts footbridge in central Paris. collapsed into the Seine under weight from the locks. We visited and photographed on June 4, 2014.